The OPSEU office door at Durham College promotes the union's issues in ongoing contract talks. About 12,000 college professors, instructors, counsellors and librarians could be setting up picket lines across Ontario campuses Oct. 16. A strike would put about 230,000 college students out of the classroom, including more than 12,000 at Durham College. The announcement came Oct. 10 when the Ontario Public Service Employees Union (OPSEU) gave its five-day strike notice to the colleges. “The purpose of setting a strike deadline is to get negotiations moving – before it’s too late,” says JP Hornick, chair of the OPSEU bargaining team. The two sides are currently not talking, OPSEU says. The two parties have been deadlocked since August. Ontario colleges and academic faculty have been negotiating a new contract since early July with intermittent rounds of talks. The colleges and OPSEU could still come to an agreement and avoid the strike. 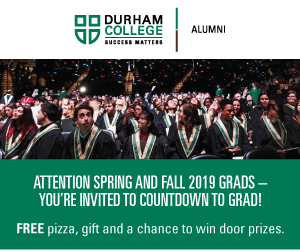 If faculty go on strike all post-secondary and apprenticeship classes will be cancelled at Durham College but continuing education courses will run as scheduled, the school has indicated on its website. 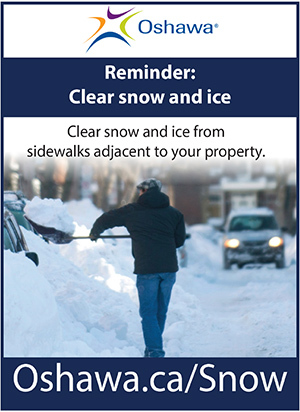 Students on placement, co-op or work study will continue unless notified by their school office. Support and administrative employees will continue to work as usual during the strike. “Unfortunately, our employer is not moving forward on the issues faculty care about most – even in the case of no-cost items like academic freedom or longer contracts for contract faculty,” Hornick says. One of the main issues in the dispute is the number of contract faculty on the job. 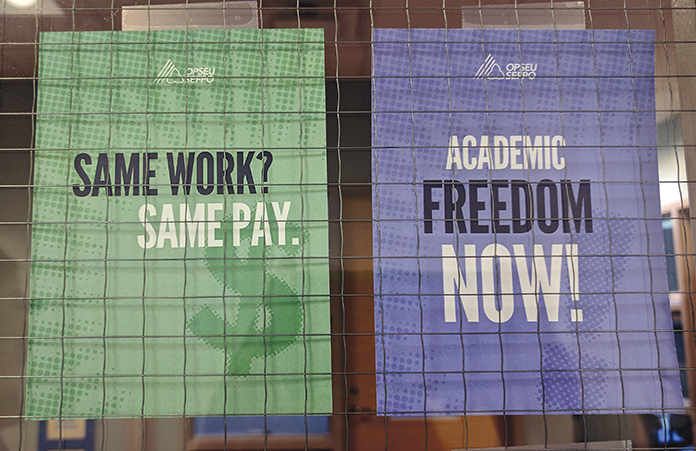 According to OPSEU, 81 per cent of college faculty are contract rather than full-time positions and since the last contract in 2013, the number of contract faculty has increased by 10 per cent while the number of full-time positions has remained the same. This leaves some professors applying for jobs they already have every four months. Contract faculty are also paid less than full-time faculty for the same work, says Hornick. “The staff are programmed based on the needs of the program,” says Sonia Del Missier, chairwoman of the colleges’ bargaining team, in an interview with the Peterborough Examiner. Del Missier says for specialized courses like dental hygiene individuals that would be needed to teach the course like a dentist are not looking for full-time positions. This is where contract faculty are required, Del Missier says. The union would like to see more full-time faculty hired, but the colleges counter that would add $400 million to their annual budgets and eliminate more than 4,000 contract faculty jobs. “This is an estimate,” says Nicole Zwiers, president of the Local 354 OPSEU office at Durham College. In addition to this, other key issues are wage increases, job security and the role faculty have in academic decision-making, says OPSEU. Zwiers says the amount of academic decision-making faculty have right now is “virtually none”. With more university degrees and programs coming to colleges, Zwiers says, faculty are seeking the same academic decision-making as their counterparts at universities. “The other part of that which is a collegial governance,” Zwiers says. The last offer from the College Employer Council included a wage increase of 7.5 per cent over the next three years with a new maximum salary of $115,094 a year. OPSEU says the wage increase offered could be less than the rate of inflation and lower than the cost of living. “Unfortunately, the OPSEU academic team continues to choose the path toward an unnecessary strike that would be a terrible outcome for our students. We are asking the union to let faculty decide by putting the colleges’ final offer to a vote and avoid a strike,” Del Missier says. Durham College says they remain committed to supporting their students and their success. In the past 50 years, there have been three faculty strikes, says OPSEU. The last time college academic faculty went on strike was 2006. Cassidy McMullen is a second year journalism student at Durham College. She is an avid reader and likes covering stories on a wide range of topics.